I don’t fix my hair at home. I do all the fixing at the hospital restroom, rush to my locker to get my white cap, pin it high and rush to the Nursing Office to drop my timecard at the bundy clock. 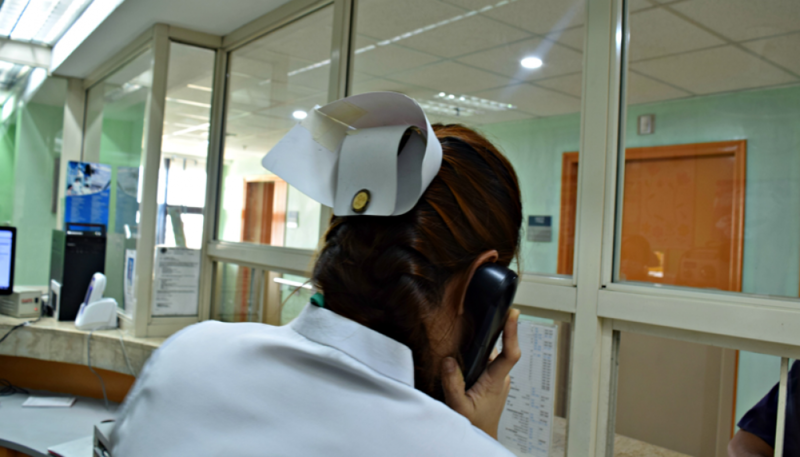 I go over this hassle day by day for one goal: to keep my nurse cap neat, white, and in perfect shape. I wouldn’t dare put it inside my bag: it’ll get all crumpled and ugly. As one of my patients is on Osteorized Feeding via nasogastric tube (NGT), basically before I feed him, I had to elevate the head of the bed to prevent aspiration. As I was doing so, I felt as if someone has poked me on the head. Later, I found out that it was my cap, barging at the wall and hurting my scalp. Also, my cap often get tangled on the curtains dividing the patients’ beds in the ward. And when there’s a Code Blue, I can’t run with my nurse cap on: it keeps on poking me on the head and often fall to God-knows-where. Our hospital still stick to the traditional image of nurses wearing white uniform with a matching white cap (except on special areas, where they wear scrubs). 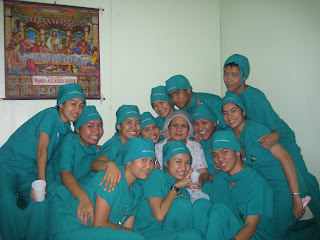 I was also clad in white as a nursing student. I remember my capping ceremony: all faces are beaming as we cant get enough of taking pictures with our cap and the Nightingale lamp. I even starched and ironed my first cap because my Clinical Instructor said that it could help in keeping the cap sturdier; which was a total lie. I ended up buying a new one. I always wonder what the real purpose of the cap is, because obviously, it doesn’t do anything! Yes, I am not forgetting that it is a sign of pride, professionalism, Nursinghood, but it can harbor bacteria as nurses transfer from patient to patient, so I really can’t see the point. So for more than four years of wearing the cap, I finally got curious. I mean I have to know what it’s for! According to my research, it’s quite hard to pin down the exact date of the cap invention; but all other sources point to Florence Nightingale ‘The Lady with the Lamp’ sometime in the mid-1800s. 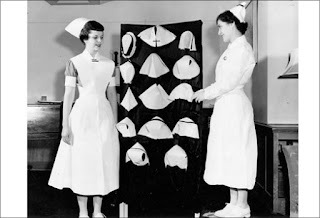 The cap then was designed after a nun’s habit, because it is the nuns who were the first nurses. So you can imagine long veils like the ones present nuns wear today. 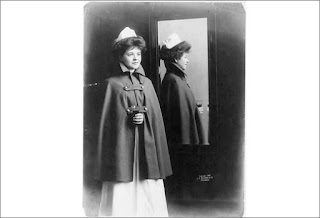 This nurse wears the “modern” style cap in 1909, along with another piece of nurse attire, the cape. The cap’s purpose of keeping the hair neatly in place and giving us the professional look dates back to that time. Eventually, the cap evolved into different styles depending on the nursing school, hospital policy, or call of fashion. It’s gotten smaller and more convenient to wear over the years. Today, as more men enter the profession, more amendments were done as the caps were replaced by unisex pins. In some hospitals, they seemed to have forgotten altogether the white-clad image of nurses: they now makes use of colored scrubs with no white cap at all. 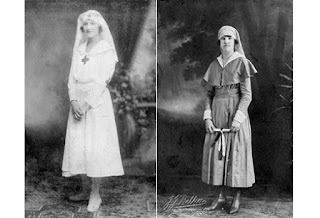 Whew, I am just happy that I became a nurse at this age, I couldn’t bear wearing the long veil and cape, no pun intended. The cap had definitely been through a lot of history than I can imagine. It still did not in any way change my prospect of it as being of no use; but for the credit, I will continue going through the hassle of keeping it flawless. No matter how annoying that thing on top of my head is, I will always be proud to be part of the noblest profession that never tires of donning the cap – Nursing.